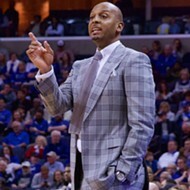 Tiger coach Penny Hardaway has spoken publicly this winter of the envy he feels rival coaches suffer as he and his staff begin to make an impact on the college basketball landscape. 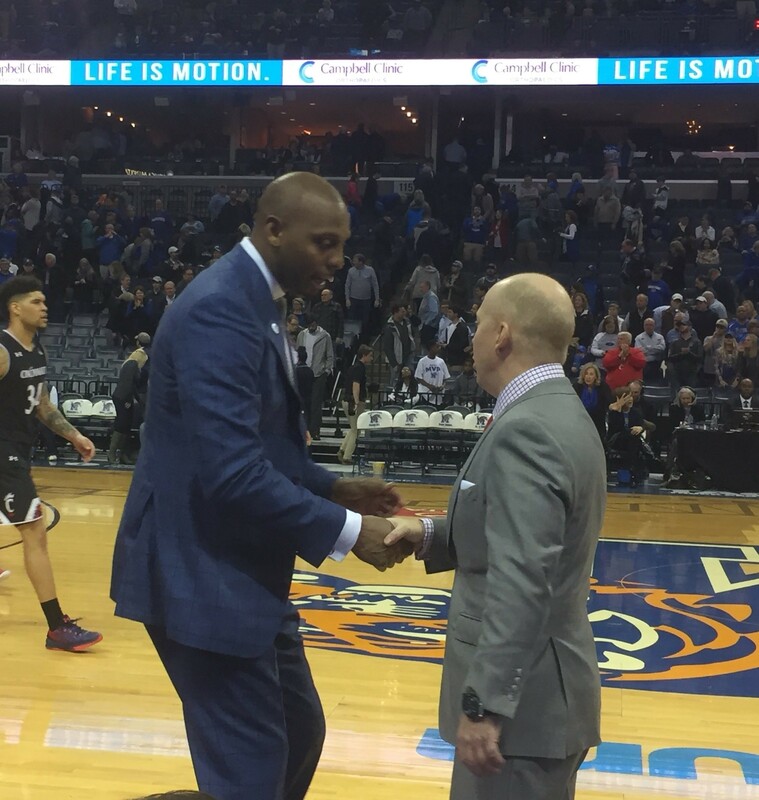 Thursday night at FedExForum, Hardaway shook hands — twice — with the standard he must reach himself if that impact is to be the kind Memphis fans expect. His second handshake with Cincinnati coach Mick Cronin was of the congratulatory sort, the Bearcats having come from 11 points down in the second half to earn their eighth straight win and hand the Tigers their fourth consecutive loss. "[Cronin] has been there 13 years," noted Hardaway after the game. "He's found his system, his rhythm on players. As far as our players, you can't put toughness in someone. You have to go out and battle." 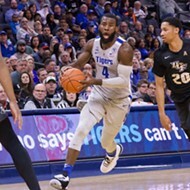 Five days after scoring 41 points in the second half at USF, Tiger guard Jeremiah Martin scored 12 points in the first seven minutes against Cincinnati to energize a FedExForum crowd of 16,363. When Isaiah Maurice converted a jump-hook five minutes before halftime, the Tigers took a lead (27-26) they wouldn't surrender for the next 19 minutes of game time. 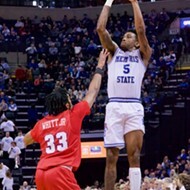 But Bearcat guard Justin Jenifer drained a three-pointer to seize the lead back for the visitors with 5:50 left in the game, part of a 10-0 run that erased a 52-46 Memphis lead. 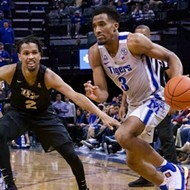 Martin twice pulled the Tigers within three points in the game's final three minutes, but Jarron Cumberland all but sealed the win with a floater off the glass to give Cincinnati a 65-59 cushion with a minute to play. "We didn't rebound well in the second half and they got some easy buckets," acknowledged Martin, who finished with 26 points in 38 minutes of action. "You learn from teams you play," added Mike Parks Jr., who scored 11 points and grabbed nine rebounds. "We're trying. Ultimately, it's about toughness, and they were the tougher team today." The Bearcats won the 78th meeting between these two programs despite the Tigers' making more field goals (25-23). Cincinnati hit eight of their first 10 three-point attempts and finished the game with 11 from long distance to the Tigers' 10. But Cincinnati made 12 of 22 free throw attempts, while the Tigers only hit four of eight from the charity stripe. The loss drops Memphis to 13-10 for the season and 5-5 in the American Athletic Conference. 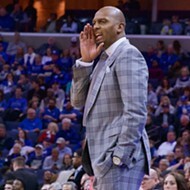 The Tigers have lost four of five games, a slog Hardaway didn't suffer in two years as a player for the program. Cincinnati improves to 20-3 and 9-1 in the AAC. "It took us some time to adjust to their quickness and speed," said Bearcat coach Mick Cronin, who earned his 288th win in 13 seasons on the Cincinnati bench. "We gave up more points in the paint  than we typically do. I thought we might have to win this game 85-80. We're still learning how hard you have to play to win a game like this." Kyvon Davenport scored 12 points and pulled down 10 rebounds for his eighth double-double of the season. The Tigers only got four points from the freshman trio of Tyler Harris, Alex Lomax, and Antwann Jones (all of them scored by Jones). "[Cincinnati] has a winning tradition," said Hardaway. "They've been going to the NCAA tournament for a while. They've bought into everything their coach is telling them. Every single minute they're on the floor, they're going all-out. That makes it hard for us. We haven't gotten to that level yet. We needed to execute better, to not take bad shots. We needed to get stops. And we just couldn't do it." It wasn't so much an envious coach highlighting a counterpart's strengths, but a first-year coach acknowledging much work remains to be done for his program to match the standard set by a 13-year veteran. More handshakes between Hardaway and Cronin to come. 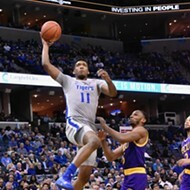 The Tigers return to FedExForum Sunday to host Connecticut. Tip-off is scheduled for 1 p.m.